Our specialist car turbo intercooler service here at Advanced Radiators is only a telephone call away. Comprehensive stocks of new and exchange units, supported by extensive workshop facilities, ensure that you receive a fast, efficient service. Leaking intercoolers and charge air coolers cause poor engine emissions, excessive fuel consumption, loss of power and potential engine damage. 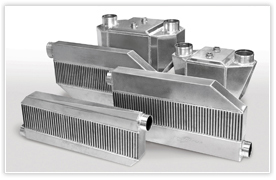 Therefore, replacing your turbo intercooler can be a common task and one that needs special attention and knowledge — all aspects that Advanced Radiators can provide. Use our bespoke search facility to find the right turbo intercooler to fit your vehicle.